JetBlack Cycling has built an internationally recognised name, synonymous with creativity and innovation. JetBlack Cycling has built an internationally recognised name, synonymous with creativity and innovation. The Australian brand’s crowning achievements lie in their award winning stationary trainer range. 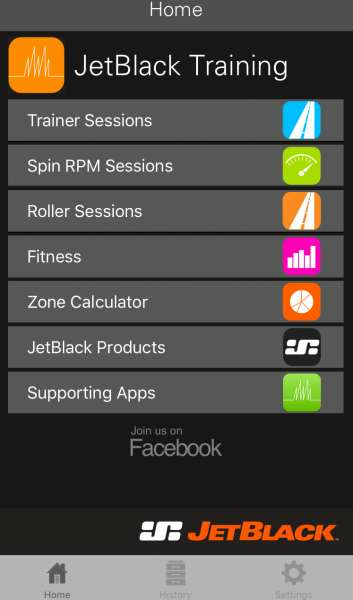 To help you get more out of their trainers like the Whisper Drive and Z1, JetBlack have developed a free app for iOS and Android. There are a number of free training apps that you can use on your smartphone and all come with different characteristics. Some of the apps focus on mapping and routing options, while others focus on controlling their respective paired trainers. 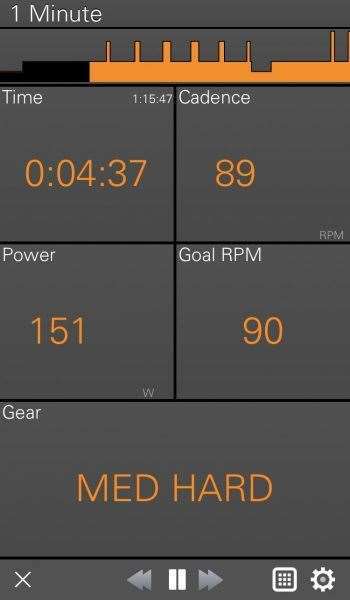 The JetBlack app focuses on the training aspect of indoor training and with the help of Olympic triathlete coach, Murray Healey, the app delivers a range of training sessions. All sessions are within a 30min – 1:30hr range, so your mental health is not affected too much. Most energy systems are covered with some sessions focusing on short, sharp efforts and others on more sustained efforts, while also providing variability to keep things interesting. The app comes pre-loaded with standard ‘read and ride’ sessions and an additional free download that provides voiced sessions to give you encouragement and let you know what’s coming up. I found the standard ‘read and ride’ sessions were more to my liking as I could play my own music and follow the written instructions myself. The music in the download sessions is a little off-putting, as is the Kiwi accent for the voiced instructions, but that’s personal preference! Both variations cover the necessary ground though, and if you’re stuck on how to spend your time on the trainer they will both help you a lot. 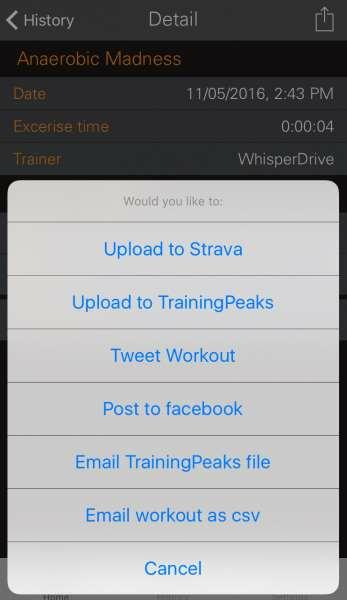 Once you have finished your session, the app saves it and lets you push it to your favourite site like Strava and TrainingPeaks. To add even more spice to your sessions you can pair the app with your ANT+ or Bluetooth sensor. You will need to buy an ANT+ key to pair an ANT+ sensor to an Apple device though. 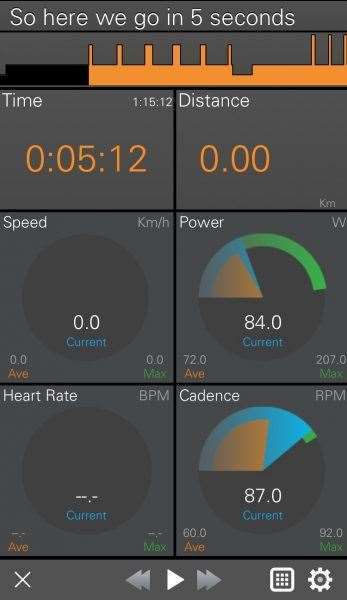 The apps training dashboard is customisable and has all your normal heart rate, cadence and power screens along with a small graph of the sessions efforts and a scrolling word board that lets you know what effort to do next. The words are a little small on an iPhone 6, even in landscape, which makes them a bit difficult to read when your legs are screaming and your lungs are falling out of your chest but you do get the idea of what to do. As a whole, the app is pretty good and if you are stuck on what to do when you are on a stationary trainer or want to improve your fitness, the training sessions will be of great help. As it is free with purchase of a JetBlack trainer, the small issues, which are largely due to personal preference, can be overlooked.